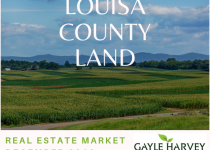 Review the latest real estate market information for land in Madison County Land in Central Virginia. 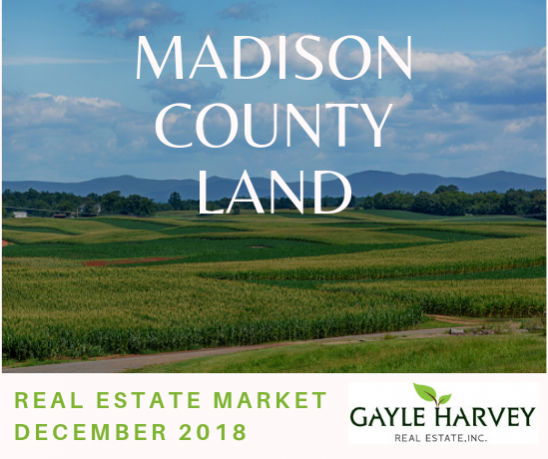 There are 27 active land listings right now in Madison County. 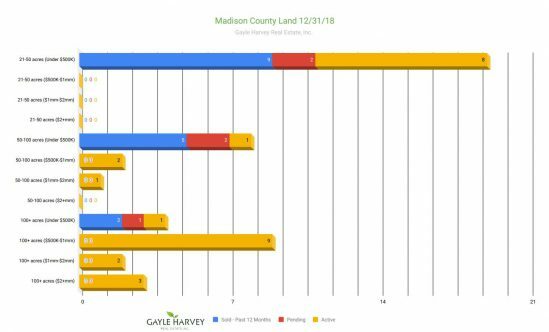 There have been 16 sales in the past 12 months, and currently five land sales pending. Land buyers in Madison County have quite a few listings to choose from. Large-sized land listings, at 100 acres and over, have the highest number of active listings. Listings of this size have only had two sales in the past 12 months and has one pending sale at year-end. Competition can be strong for sellers with many active listings than there have been total sales in the past year. 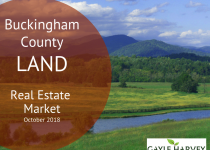 This current real estate market in Madison County makes it vitally important for land sellers to have a solid strategy for pricing and marketing their listing. As a land buyer, it’s important to know the market well and have a good plan for negotiating your offer.